71. What is the If Activity in UiPath? The If activity contains a statement and two conditions. The first condition is executed if the statement is true, while the second one (the activity in the Else section) is executed if the statement is false. If activities can be useful to make decisions based on the value of variables. 72. What are Selectors and Wildcards in UiPath? Wildcrafts helps in replacing the strings. It is helpful when you will deal with the attributes which are changing dynamically in the selector. And the selector helps in automatically generating the selection by using the wildcraft. 73. What is the Switch Activity in UiPath? The Switch activity enables you to select one choice out of multiple, based on the value of a specified expression. By default, the Switch activity uses the integer argument, but you can change it from the Properties panel, from the TypeArgument list. The Switch activity can be useful to categorize data according to a custom number of cases. For example, you can use it to store data into multiple spreadsheets or sort through names of employees. 74. How do you create a project in UiPath? For creating a project in uipath you will have to create a folder with your name and then select a particular location. So the new folder will get saved in the default directory. 75. 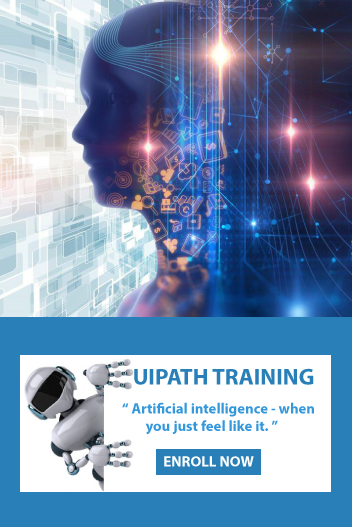 What is the For Each Activity in UiPath? The For Each activity enables you to step through arrays, lists, data tables or other types of collections so that you can iterate through the data and process each piece of information individually. 76. What is branching in UiPath RPA? 77. What is the Break Activity in UiPath? The Break activity enables you to stop the loop at a chosen point and then continue with the next activity. 78. Explain about Recording in UiPath Studio? It is used for the generation of the full selector for every activity but has no container. Hence the automation is much slower but is good for the single activities. It is great for multiple actions and desktop apps. It is much faster than the basic and uses the container where the activities will be enclosed and will also have partial selector. It is used for recording in the web pages and for browsing. It also generates the container. It is used for recording of virtualized environments, permits texts, images and the keyboard automation. 79. What is the While Activity in UiPath? The While activity enables you to execute a specific process repeatedly, while a specific condition is met. The main difference between this and the Do While activity is that, in the first one, the condition is evaluated before the body of the loop is executed. This type of activity can be useful to step through all the elements of an array or execute a particular activity multiple times. You can increment counters to browse through array indices or step through a list of items. 80. What is Flow Switch in UiPath?